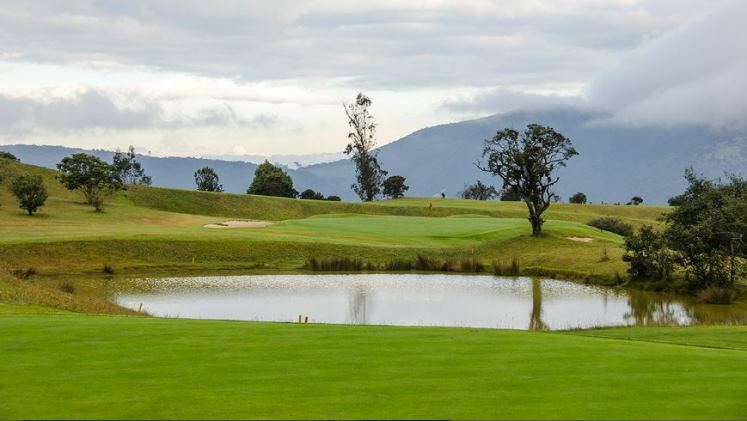 As such it can be quite a challenging course – even a slightly misjudged approach shot could see your ball disappearing off down the side of a mountain. 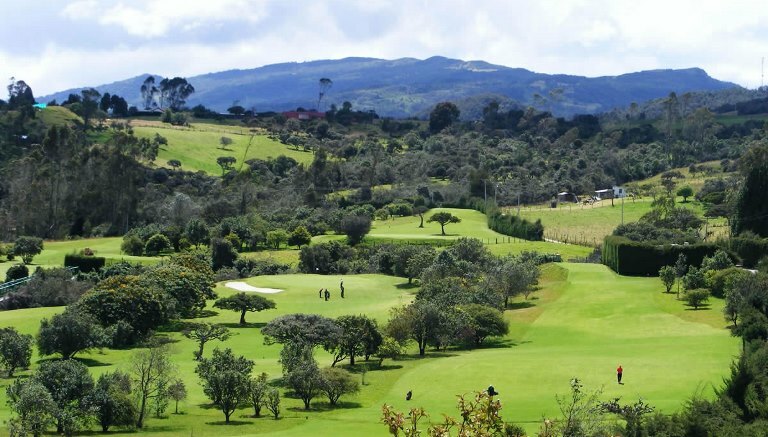 Be warned too that the course is located at an altitude of around 3000 metres, so take your time strolling down the fairway! The tee shots at La Cima are quite dramatic. Many very large elevation changes make judging distance tough while the tightness of the tree lined fairways makes accuracy extremely important. On this course distance off the tee is not the most important and at this altitude, the ball flies very far so driver isn’t always the club to pull on par-4′s and par-5′s. Quite often the hole design requires a much more conservative iron-off-the-tee approach for the best placement. The fairways at La Cima can be tight. 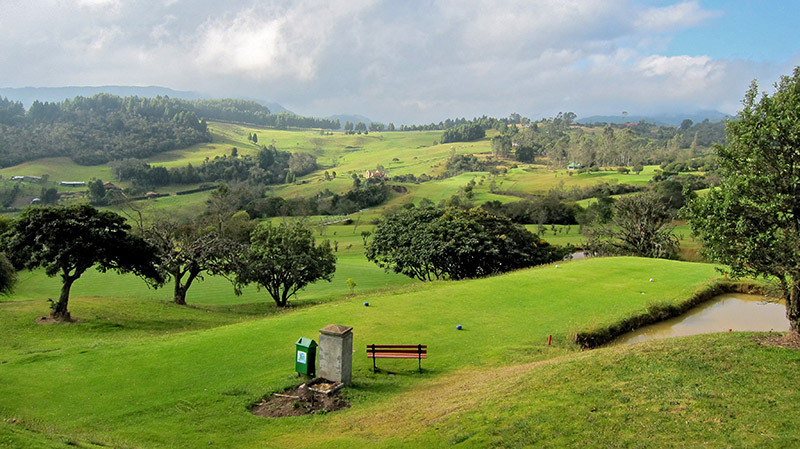 If one manages to place a ball on the fairway there can be many challenging lies due to the hilly Andes mountain terrain, there is not a straight hole on the course; most of the par-4′s and 5′s have some sort of dogleg and many of them feature double doglegs. Approaching the greens is perhaps the most challenging part of golf above the clouds. 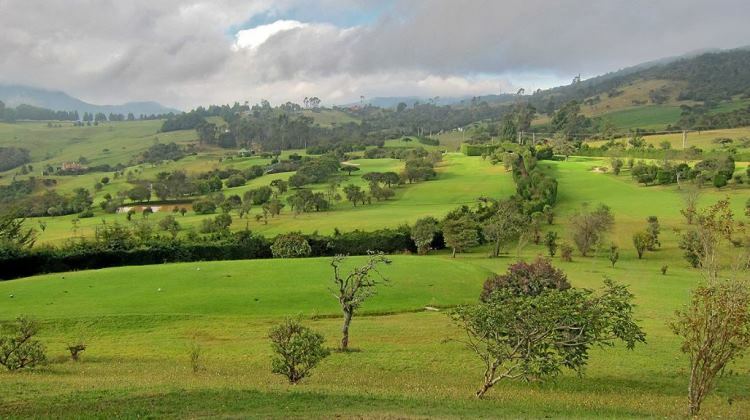 The steep Colombian terrain all but guarantees that one side of the green will have a hill above and the other a large drop off. Missing the green to the side of the drop off is death, in fact, hitting a green in the wrong place can be just as penalizing as missing the green flat out.